12V to 12V 50W regulator, 10V-20V input to 12 volt 4.2Amp DC/DC converter, 10-20V input, 50 watt. These are regulated switching power converters, designed to allow the use of equipment that requires a regulated 12 volts in 12 volt battery systems and vehicles. 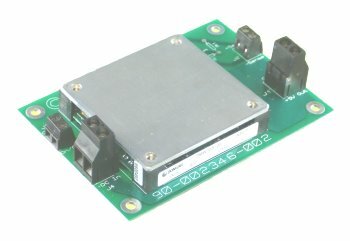 The packaging is a circuit board with a sealed DC converter brick with associated connectors. To determine the amperage you would need add up the watts of all the equipment and divide by 12 volts. Wide input voltage range, 10V to 20V.